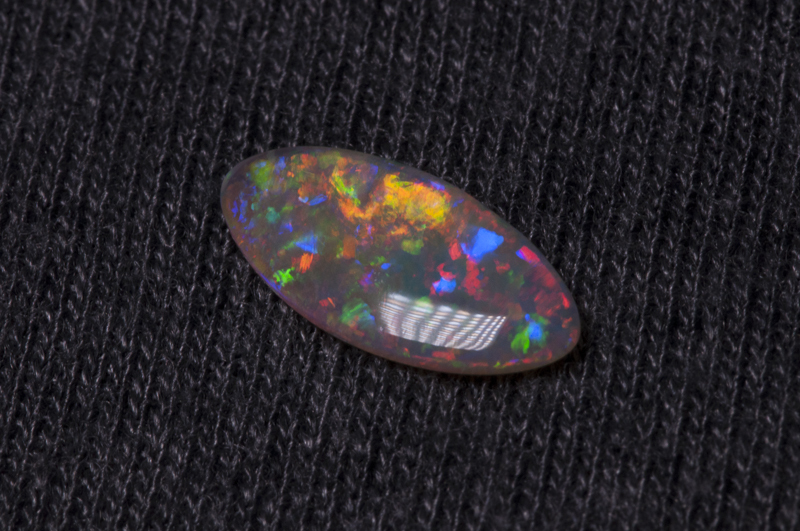 As soon as the skin had been cut back, even with a low grit, the colours were bouncing back off the wheel. It’s well covered, with pieces of floating and sunken multi colour along with a rolling flash of golden yellow under artificial natural light. Cutting back potch and sand, the shape evolved to a Marquise type shape. The stone slopes thinner to one side at one ‘end’. 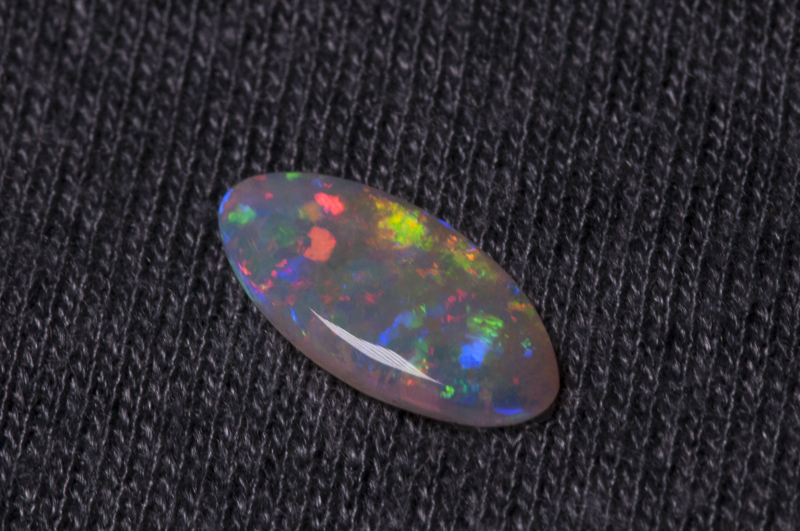 However , this is such a lovely stone with clear bright colours, that set correctly, would make a stunning piece. I’d play with a darkened setting, but even resting ‘as is’ on a finger, it looks lovely. There is a small inclusion to one side but this is not on the face. Again, correct setting would render this invisible. 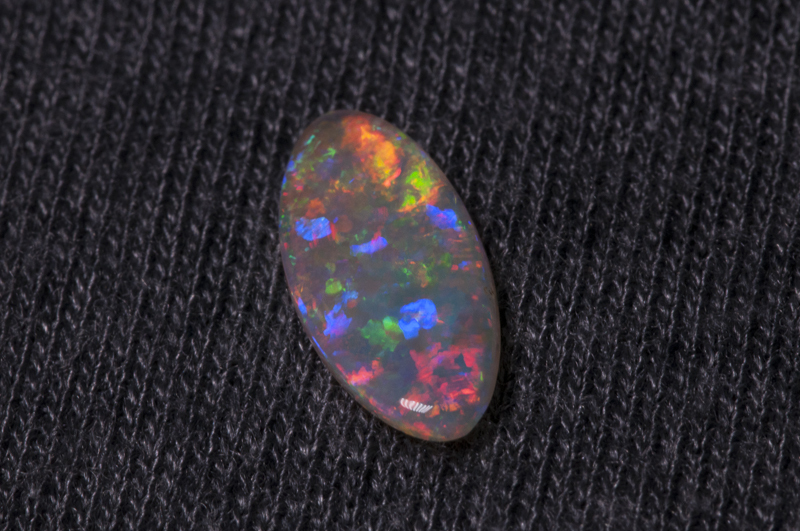 I did enjoy working on this piece of crystal opal. 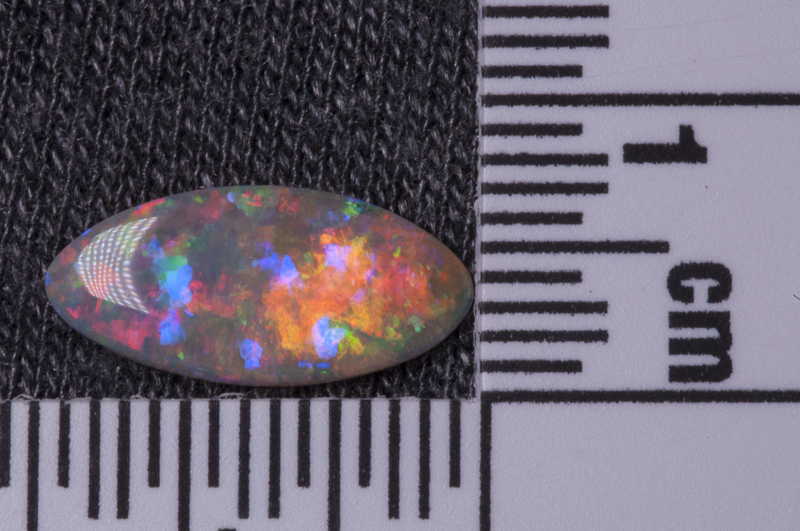 It’s around 14mm x 6.4mm, 2 – 1.6 mm deep and weighs 1.1 carats. My photography skills don’t do justice to it! I’ve taken the photographs in a near daylight with an artificial source. Please feel free to comment on the post and photographs. 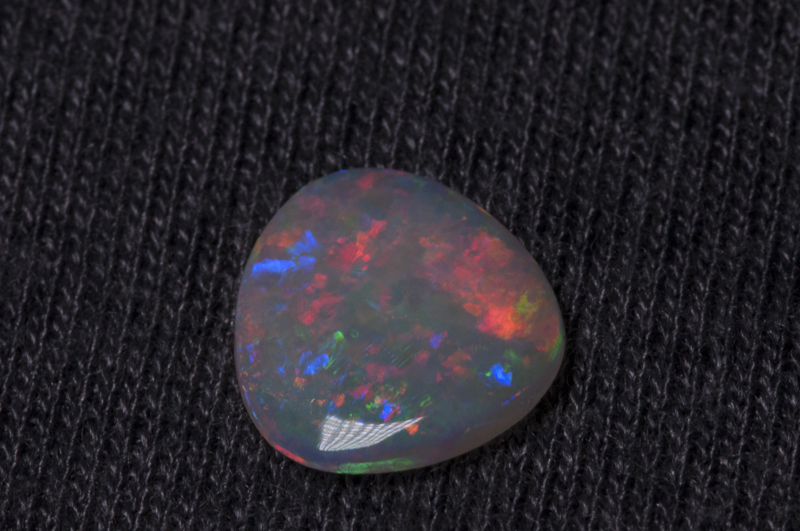 A multi coloured solid fossil opal with an additional rolling flash. 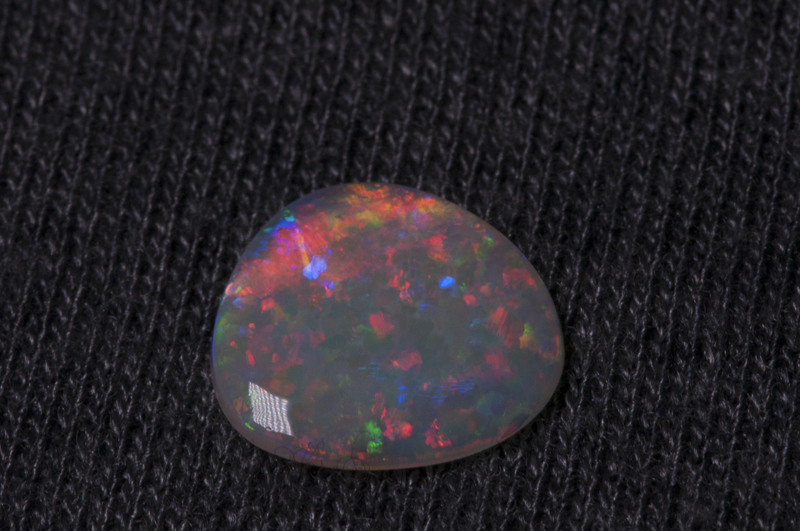 This loose stone ranges from about 2mm thick to about 1.5mm. 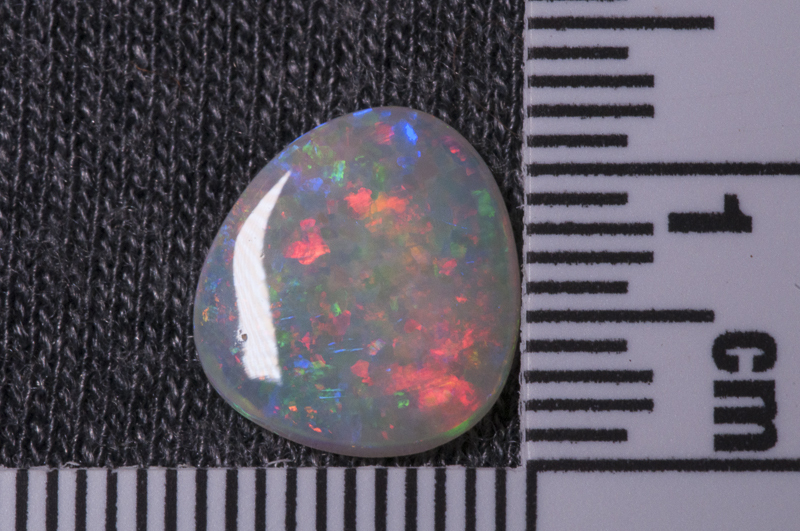 Size wise it’s around 12 -10mm and weighs in at 1.65 carats. 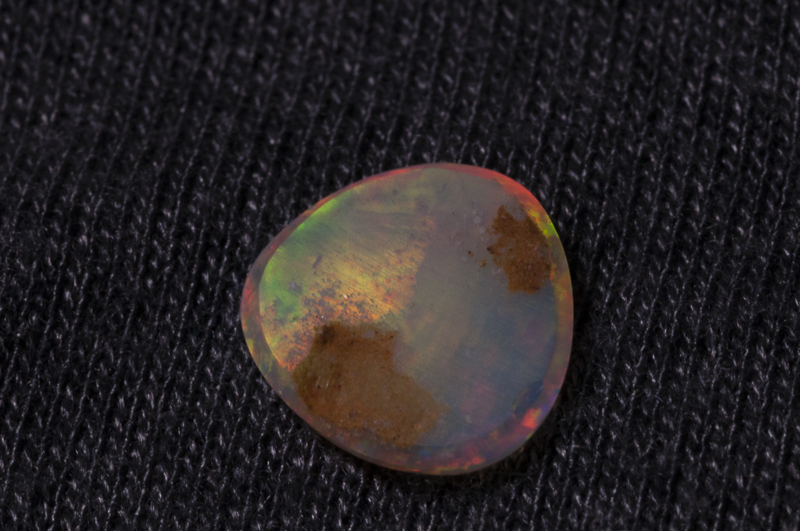 It looks like this was originally some type of shellfish where in the fossilization stage, the shell has been replaced by opal. 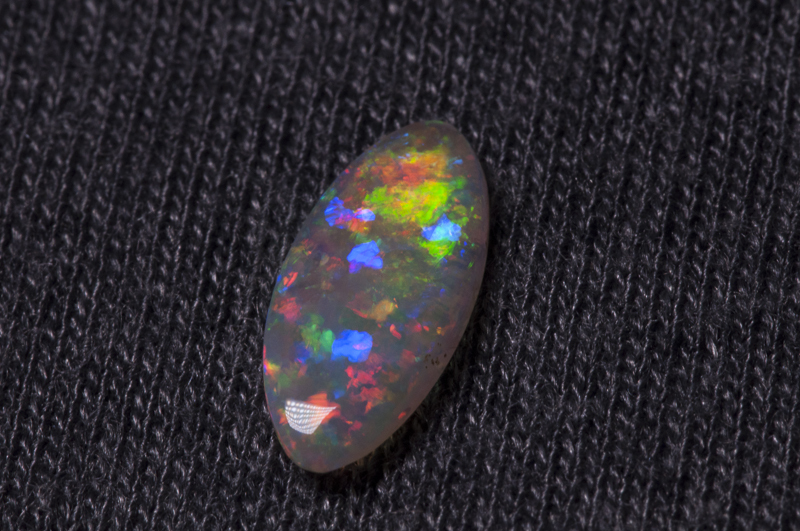 It comes from Coober Pedy and the area known as ‘Diggers Gully’. 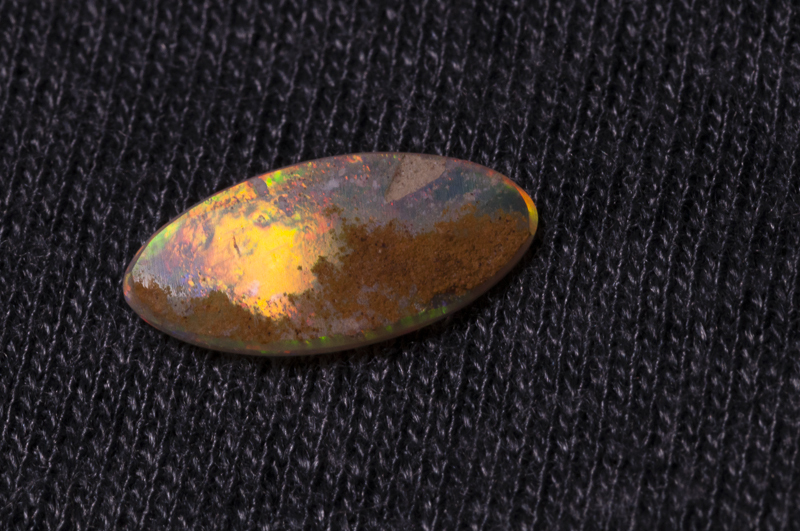 Due to the initial shape of the shell, this took some time to cut but as you can see, it polished up very well. 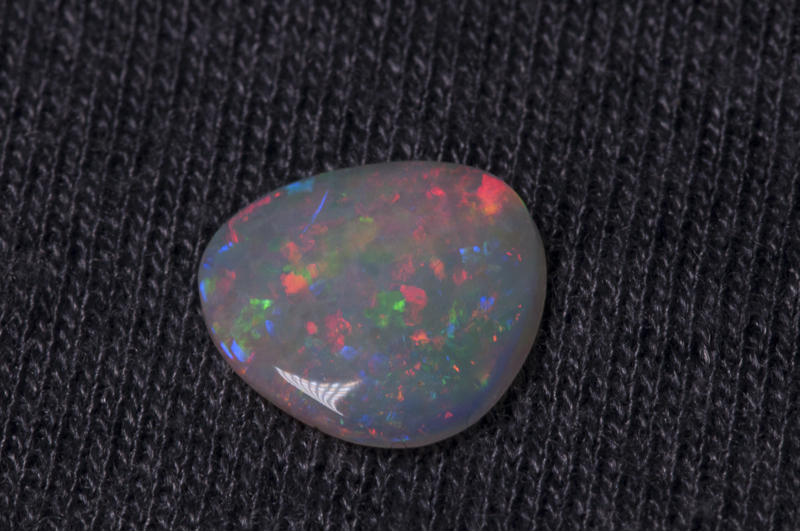 I haven’t really been able to do this stone justice with the photography. clarity and colour of the flashes aren’t as sharp as in ‘real life’ but I’m sure you get the idea! The back of the stone, although not polished, gives a lovely golden yellow broad flash. Mainly red rolling flash solid! 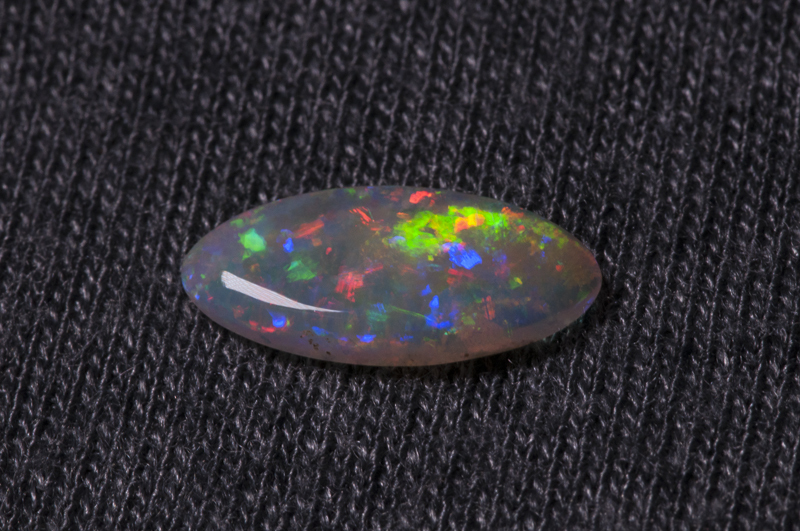 This solid opal is from rough from Coober Pedy, an area known as ‘Diggers Gully’. 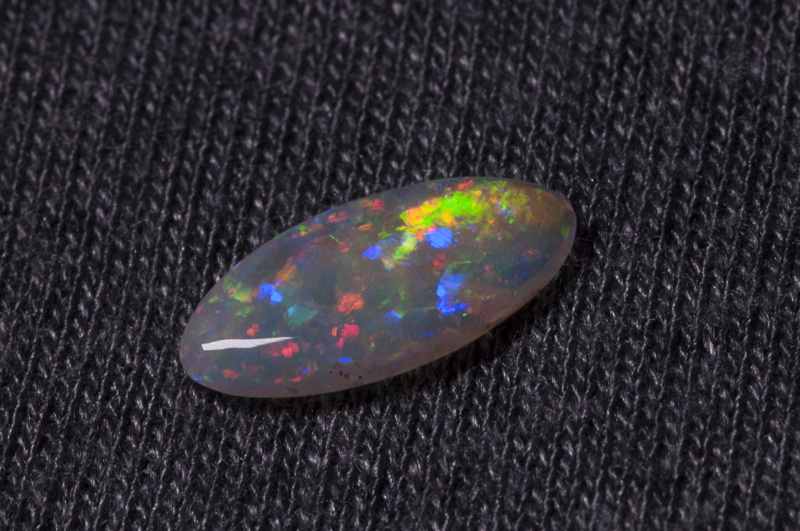 A very attractive stone. 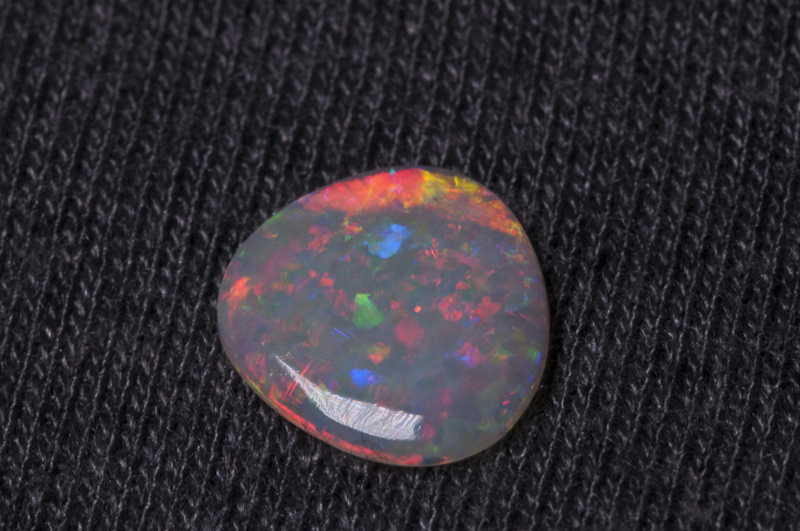 This was showing it’s colour flash through the ‘skin’ in it’s rough opal state. I took my time cutting this one. There was some sand in the side which I’ve removed. It’s always a fight when you have patches of bedrock or material in the body. 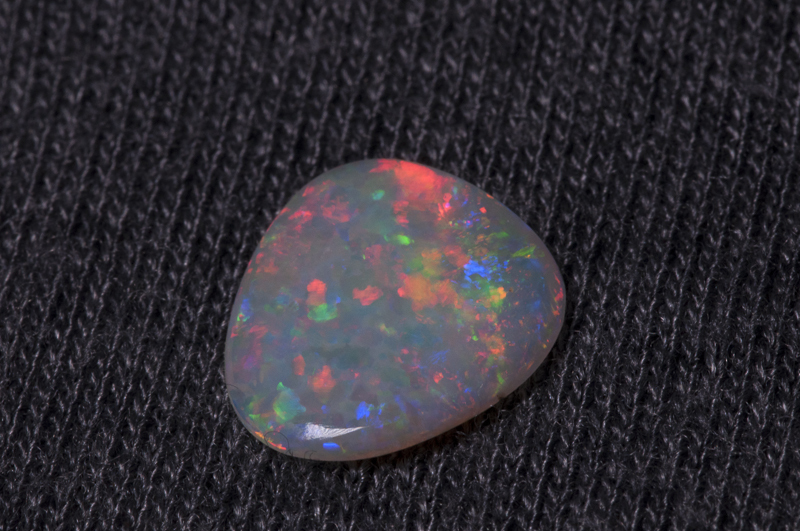 Sometimes it can be left and adds a uniqueness to the opal. In this case, it needed to come out! I had to lose some weight but it was worth it. 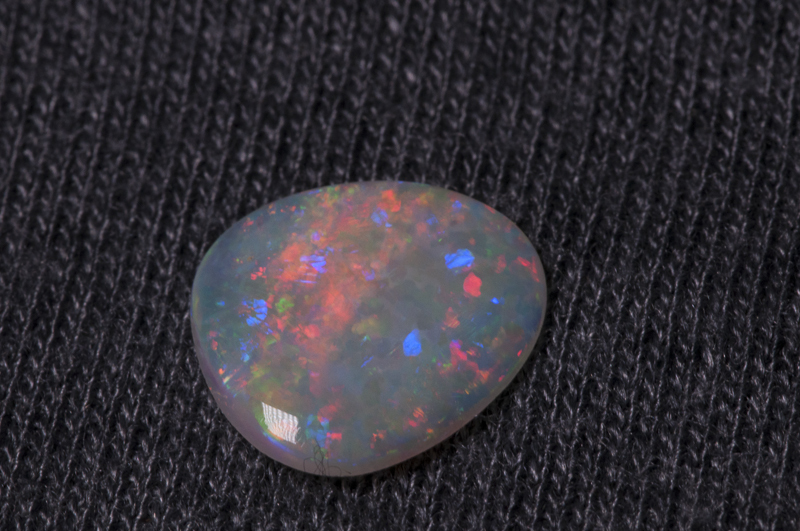 Besides the broad red rolling flash , there is also orange, yellow blue and green in this opal. Cutting the back gave yet more flashes of red fire !